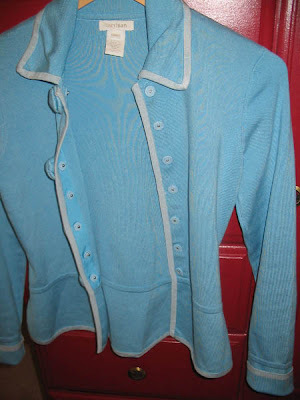 Adorable robin's egg blue silk/rayon cardigan/top. 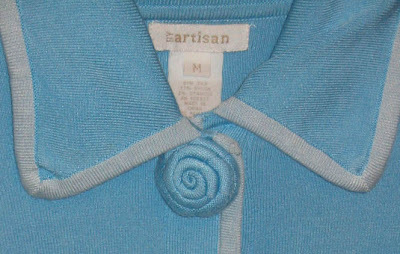 Purchased at Saks, the label reads "by Artisan." 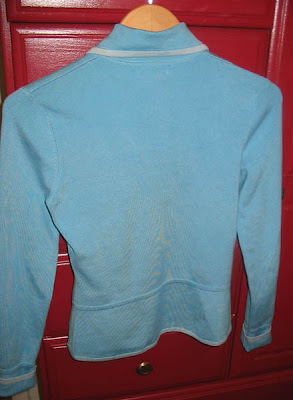 Technically a cardigan, although obviously meant to be worn closed. 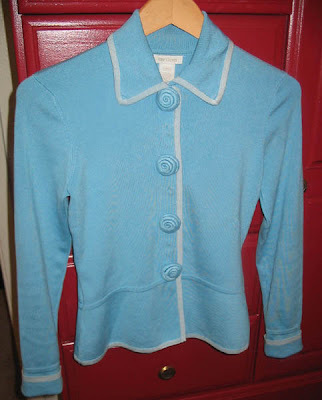 Darling fabric rosettes down the front, perfectly plain back. Neat, classic, fitted. This is a size M, but it's smallish -- I'm a 32A and it fits me pretty closely. Asking $25, which includes shipping (international shipping will be more). If interested, contact me at shine at austin dot rr dot com or by clicking on my profile above.